Some things will stay the same and some things will be brand new next year. Here are a few design trends for 2018 that can inspire your next website design. Flat design has been dying a slow death over the past few years and true designers are excited about putting the design back in web design. We aren’t talking about the full resurrection of skeuomorphic design, but the use of subtle shadows, beautiful illustrations, and overlapping design elements. 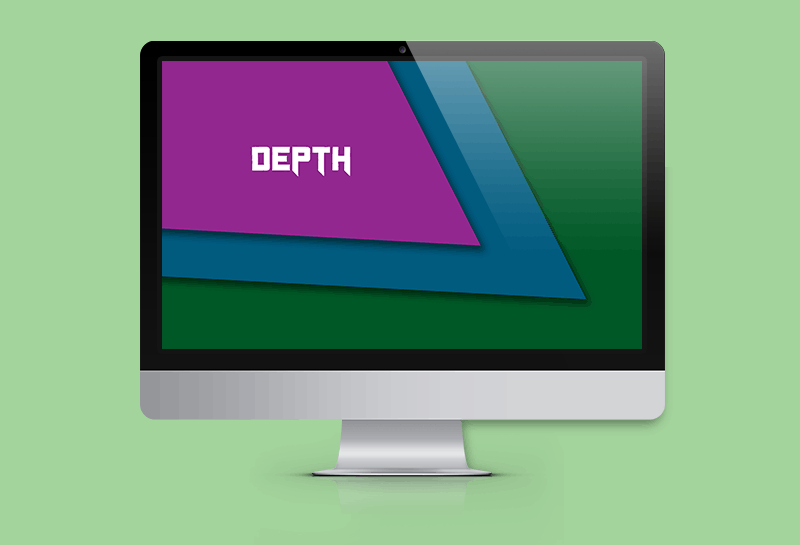 The use of depth gives a website dimension and can be used to attract the viewer to specific areas of design. Sliders and hero images are really going away. For real this time. Sliders are bad for conversions and we need to all step up and tell our clients, although we know some will insist they stay. 2017 marked a year full of social and political changes and with it, you see a rise in those who feel the need to be socially accountable with their websites and social media venues. Photography on websites is taking a shift to be a little more open, raw and dynamic and delivers its message to ethical fairness by speaking volumes with a single image. Whether professional or stock photos, there is a wide variety of imagery out there that works well for this type of social balance. 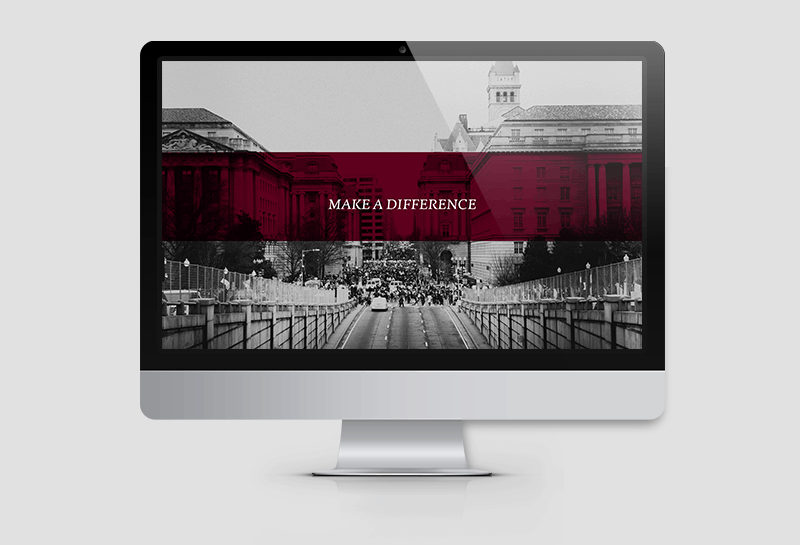 A combination of images and illustrations will be used to create unique design statements on websites. This type of design opens itself up to an unimaginable amount of creativeness and designers are running wild with ideas. Collages as a form of communication have been around for centuries and you’ll see a whole new medium of creativity with graphic designers as they work to make websites stand out and get noticed. Big and bold typography was popular in 2017 and will remain popular throughout 2018. 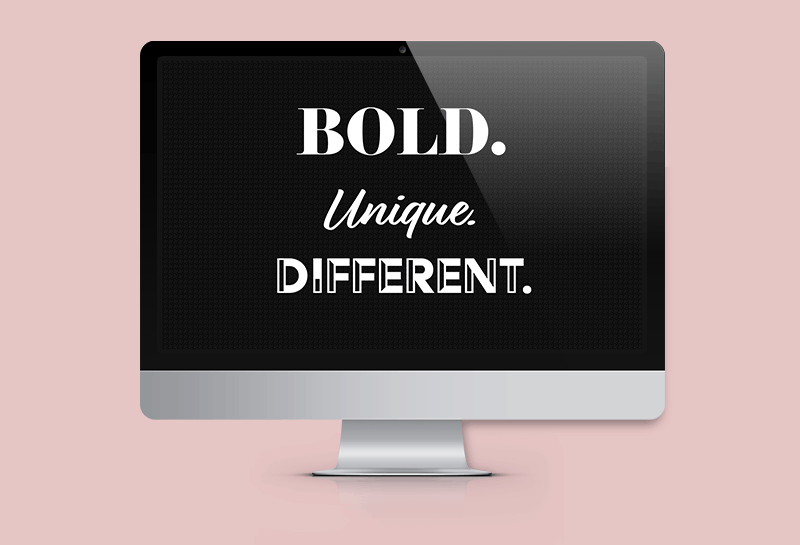 You’ll notice the mixing and matching of serif and sans serif fonts to create emotion and movement within designs. 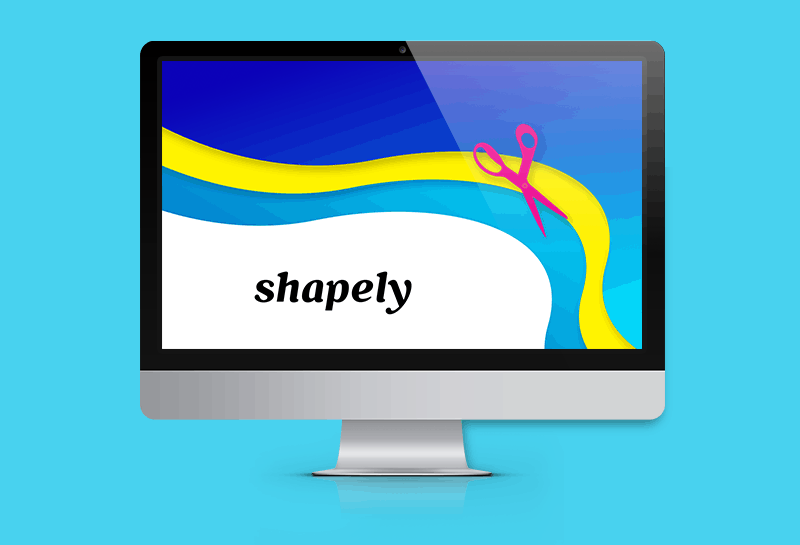 Negative space will take a bigger role and the small type will be left for the descriptions. GIFs and SVG animations have been trending in popularity over the last few years. Next will be no exception to this rule. Subtle and fun animation that doesn’t distract from function or conversion will be the goal and should peak in 2018. A few years ago ghost buttons were all the rage because they blended easily into any design scheme. They were simple, quiet and yet gave the user a place to put a link someplace without messing up a design. Studies have shown that ghost buttons are not getting the same amount of action as buttons their contrasting counterparts. Don’t hide those buttons, show them off. Ahhhh, the 80s. It seems like only yesterday but now it is being called vintage. Technically, I think the 80s get a few more years before they are truly vintage, but the fun and loud patterns are are making a comeback and will continue to inspire website design in 2018. Videos are gaining in popularity and you’ll find them used in a variety of ways in 2018. Videos aren’t just being used for introductions but you’ll find them being used for other site pages such as answers to frequently asked questions, instructional pages, live-streams and even as changing and short-lived commercials. Videos are trending in 2108 and influencing viewers with their informative style branding and presenting. You’ll see real people in real workplaces and surroundings interacting and communicating. Straight lines are out and flowing, organic shapes are in style. Beautiful curves and broken grid layouts are popular and will continue to push the boundaries of both design and development in 2018. 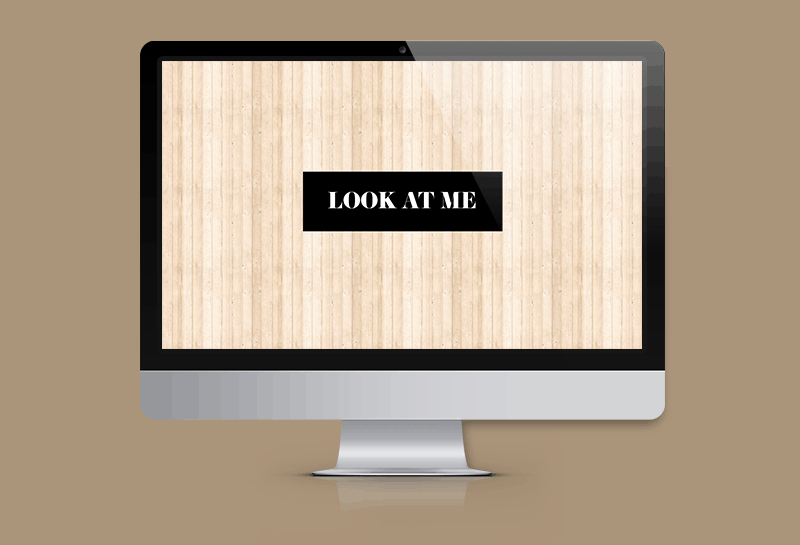 Images and text will float appropriately according to aesthetic design and not interfere with function. Colors are staying bright and vibrant. The combinations will be used to create powerful effects that make the design memorable while guiding the user throughout the website. Subtle gradients in fun colors will be popular as background choices and duotone images in contrasting colors will be used to create compelling statements. Neon color choices will remain popular but you’ll also see the use of deep earthy tones that saturate and maintain negative space in a warm and inviting way. 2018 will be a year of trial and error but also a year when designs shift to change the way we think about how our viewers are focusing on design. This trend will push the creative boundaries of both designers and developers. If your website is needing a facelift or if your small business is just getting off the ground and is ready a new site, Sumy Designs can help create the perfect site for you.